about 8 steps back and see the magic. The two faces interchange their positions. 07/12: Spinning left or Right? When you look at the animated picture above---depending on how you look at her, she will either be spinning clockwise or counter-clockwise. Once you decide on the direction, you will not believe that it is possible for your mind to see this image rotating any other way. 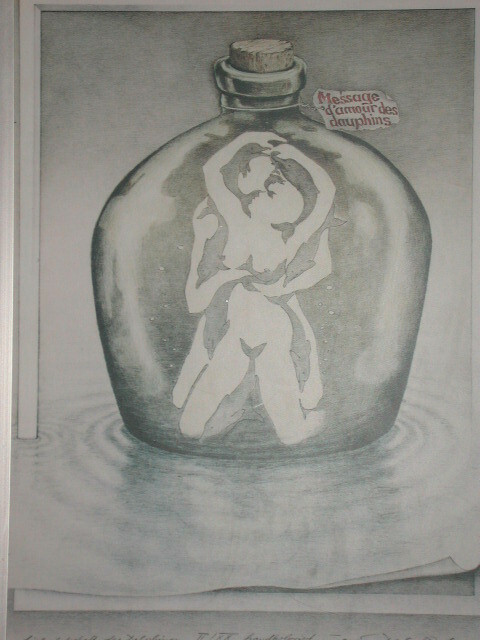 This is the main idea behind a silhouette illusion. The ambiguity can play tricks on our minds. Though it'll be difficult, try to see her rotate in the opposite direction. You may need to focus on her reflection and work your way up. Moving your focus to the main silhouette may cause it to rotate in the opposite direction. Keep in mind that if you see her spinning clockwise then it is her right leg and arm that is up in the air, but if you see her spinning counter-clockwise then it is her left leg and arm that are up in the air. Have difficulty seeing her spin in the opposite direction? Focus.. it's definitely possible! 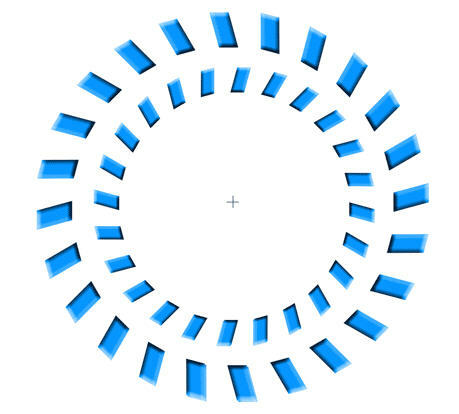 Here's a static image which moves when you move your head back and forth from the monitor. The image also starts moving if you like slightly awak from the image. For example, when you reading this text, the illusion below doesn't seem to be still. Danko Illusions 1 comment only?! 07/07: Illusions | Very cool 3D Animated GIF illusions. 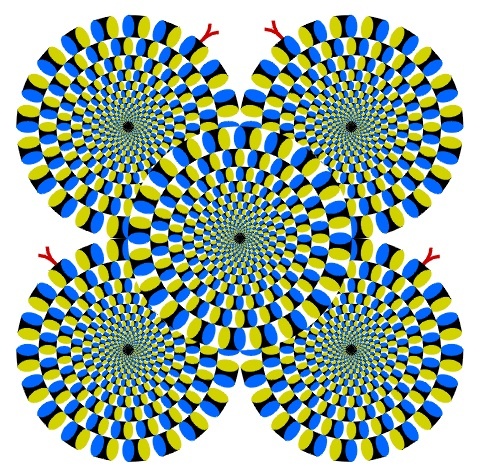 I was recently browsing for some interesting illusions when I ran into these animated 3D gifs. I beleive they were discovered by Luciano Passuello--please correct me if I'm wrong. These illusions do not require any special glasses, etc. Click on the 'Read More' link below for more of these illusions. This is part of the bigger snake illusion. Even with the snake cut in half, it seem like its moving. This is just a static image. There are no animated parts to this picture. 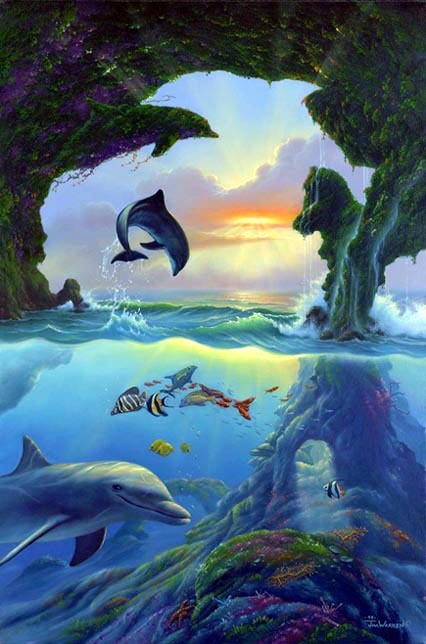 15/01: Can you see 7 dolphins in this picture? This is a painting by Jim Warren. Click on 'Reade More' for hints.